Governor Christie has officially signed New Jersey's epinephrine stocking bill into law! This law will REQUIRE schools in the state to keep a supply of epinephrine auto-injectors. 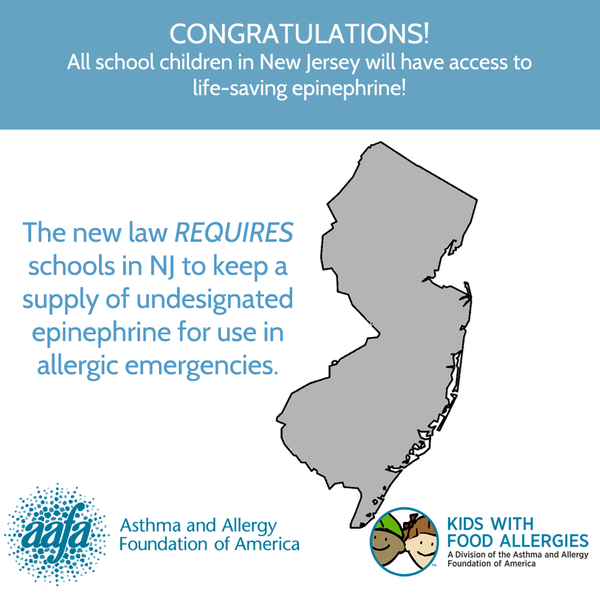 Thank you to all the advocates in New Jersey who worked so hard to support this law and make schools in the state safer for those with allergies!